As the House returns for the 113th Congress, Rep. Dave Camp says its 2013 resolution is clear: to grow our economy, getting government spending under control and making Washington more accountable to Americans. In his first weekly address of the New Year, President Obama touts the “fiscal cliff” compromise as “one more step in the broader effort to grow our economy and shrink our deficits” but warns that another “manufactured crisis” over the debt ceiling could wreak havoc on the economy. Minutes after the House of Representatives approved a bipartisan Senate deal to avert the “fiscal cliff” and preserve Bush-era tax cuts for all Americans making less than $400,000 per year, President Obama praised party leaders and wasted little time turning to the next fiscal fight. 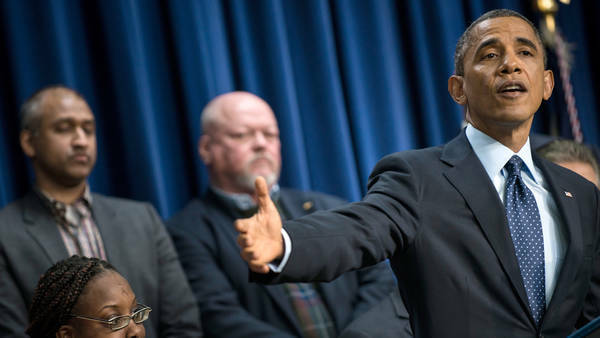 “This is one step in the broader effort to strengthen our economy for everybody,” Obama said. President Obama spoke at the White House after the House vote on Tuesday. 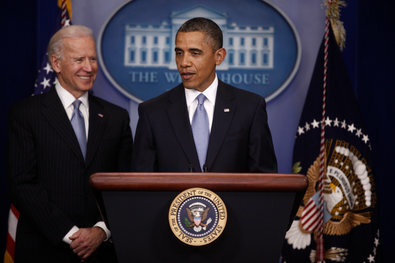 President Barack Obama’s remarks on the “fiscal cliff” legislation passed Tuesday by the House, as provided by the White House. A central promise of my campaign for president was to change the tax code that was too skewed towards the wealthy at the expense of working middle-class Americans. Tonight we’ve done that. 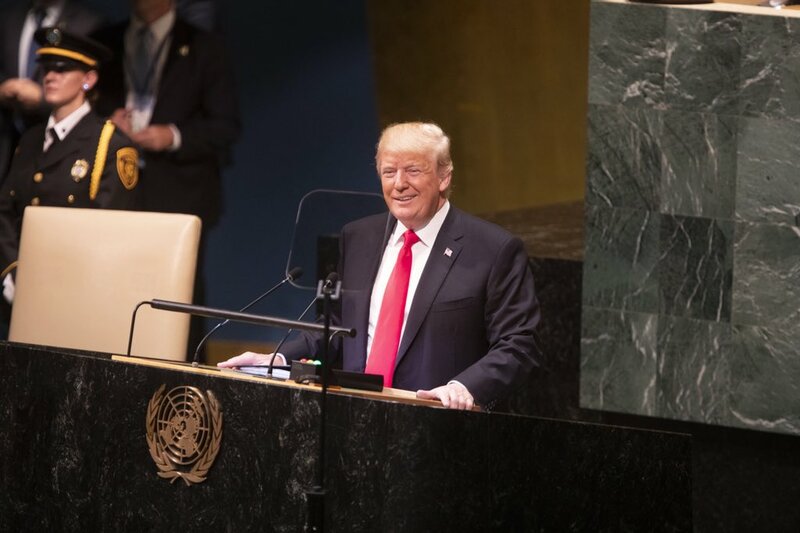 Thanks to the votes of Democrats and Republicans in Congress, I will sign a law that raises taxes on the wealthiest 2 percent of Americans while preventing a middle-class tax hike that could have sent the economy back into recession and obviously had a severe impact on families all across America. I want to thank all the leaders of the House and Senate. In particular, I want to thank the work that was done by my extraordinary Vice President Joe Biden, as well as Leader Harry Reid, Speaker Boehner, Nancy Pelosi and Mitch McConnell. Everybody worked very hard on this and I appreciate it. And, Joe, once again, I want to thank you for your great work. Under this law, more than 98 percent of Americans and 97 percent of small businesses will not see their income taxes go up. Millions of families will continue to receive tax credits to help raise their kids and send them to college. Companies will continue to receive tax credits for the research that they do, the investments they make and the clean energy jobs that they create. And 2 million Americans who are out of work but out there looking, pounding the pavement every day, are going to continue to receive unemployment benefits as long as they’re actively looking for a job. But I think we all recognize this law is just one step in the broader effort to strengthen our economy and broaden opportunity for everybody. The fact is the deficit is still too high, and we’re still investing too little in the things that we need for the economy to grow as fast as it should. And that’s why Speaker Boehner and I originally tried to negotiate a larger agreement that would put this country on a path to paying down its debt while also putting Americans back to work rebuilding our roads and bridges, and providing investments in areas like education and job training. Unfortunately, there just wasn’t enough support or time for that kind of large agreement in a lame-duck session of Congress. And that failure comes with a cost, as the messy nature of the process over the past several weeks has made business more uncertain and consumers less confident. But we are continuing to chip away at this problem, step by step. Last year I signed into law $1.7 trillion in deficit reduction. Tonight’s agreement further reduces the deficit by raising $620 billion in revenue from the wealthiest households in America. And there will be more deficit reduction as Congress decides what to do about the automatic spending cuts that we have now delayed for two months. I want to make this point: As I’ve demonstrated throughout the past several weeks, I am very open to compromise. I agree with Democrats and Republicans that the aging population and the rising cost of health care makes Medicare the biggest contributor to our deficit. I believe we’ve got to find ways to reform that program without hurting seniors who count on it to survive. And I believe that there’s further unnecessary spending in government that we can eliminate. But we can’t simply cut our way to prosperity. Cutting spending has to go hand-in-hand with further reforms to our tax code so that the wealthiest corporations and individuals can’t take advantage of loopholes and deductions that aren’t available to most Americans. And we can’t keep cutting things like basic research and new technology and still expect to succeed in a 21st century economy. So we’re going to have to continue to move forward in deficit reduction, but we have to do it in a balanced way, making sure that we are growing even as we get a handle on our spending. Now, one last point I want to make — while I will negotiate over many things, I will not have another debate with this Congress over whether or not they should pay the bills that they’ve already racked up through the laws that they passed. Let me repeat: We can’t not pay bills that we’ve already incurred. If Congress refuses to give the United States government the ability to pay these bills on time, the consequences for the entire global economy would be catastrophic — far worse than the impact of a fiscal cliff. And today’s agreement enshrines, I think, a principle into law that will remain in place as long as I am President: The deficit needs to be reduced in a way that’s balanced. Everyone pays their fair share. Everyone does their part. That’s how our economy works best. That’s how we grow. The sum total of all the budget agreements we’ve reached so far proves that there is a path forward, that it is possible if we focus not on our politics but on what’s right for the country. And the one thing that I think, hopefully, in the New Year we’ll focus on is seeing if we can put a package like this together with a little bit less drama, a little less brinksmanship, not scare the heck out of folks quite as much. We can come together as Democrats and Republicans to cut spending and raise revenue in a way that reduces our deficit, protects our middle class, provides ladders into the middle class for everybody who’s willing to work hard. We can find a way to afford the investments that we need to grow and compete. We can settle this debate, or at the very least, not allow it to be so all-consuming all the time that it stops us from meeting a host of other challenges that we face — creating jobs, boosting incomes, fixing our infrastructure, fixing our immigration system, protecting our planet from the harmful effects of climate change, boosting domestic energy production, protecting our kids from the horrors of gun violence. It’s not just possible to do these things; it’s an obligation to ourselves and to future generations. And I look forward to working with every single member of Congress to meet this obligation in the New Year. And I hope that everybody now gets at least a day off, I guess, or a few days off, so that people can refresh themselves, because we’re going to have a lot of work to do in 2013. Thanks, everybody. Happy New Year. The Republican-dominated House of Representatives has approved a bipartisan Senate deal to avert the “fiscal cliff,” sending the compromise to President Obama for his signature. It’s hard to find anyone in Washington happy about the outcome of the “fiscal cliff” brinksmanship. 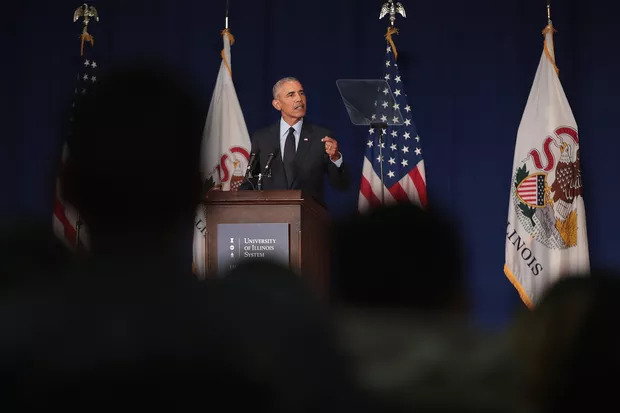 But inside the Obama White House, senior officials are elated by what they call a significant presidential achievement: breaking longstanding Republican intransigence on taxes. It’s complex, dense, and filled with compromise. And the deal passed by the Senate to avert the “fiscal cliff” might not even become law, depending what actions the House takes. Here are five things to know about the bill that passed the Senate overwhelmingly in the middle of the night. 3. The deal “kicks the can,” and three more “fiscal cliffs” are looming. Two hours after a midnight deadline for action, the Senate passed legislation early New Year’s Day to avert the so-called fiscal cliff with an overwhelming vote of 89-8. Senate passage set the stage for a final showdown in the House, where a vote could come as early as Tuesday.